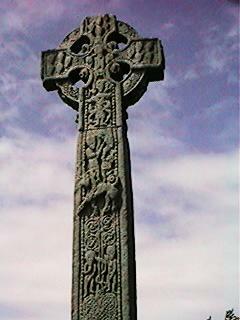 The cross on the left has some beautiful celtic knots carved onto it. 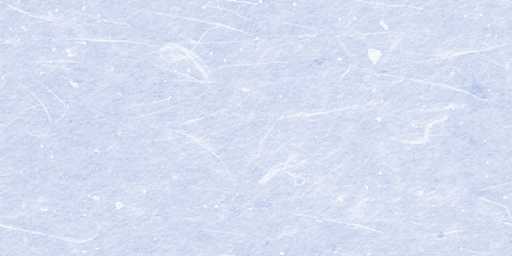 I don't remember where we took this photo. 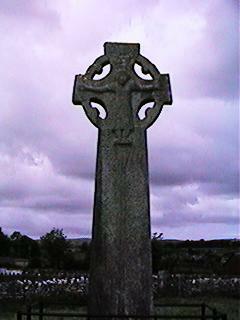 The cross on the right is in the same cemetery where Yeats is buried, just outside of Sligo. 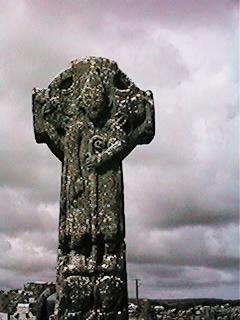 These crosses are in a cemetery just outside the Burren's Visitor Center. There are a number of very old crosses, and a dilapidated church. 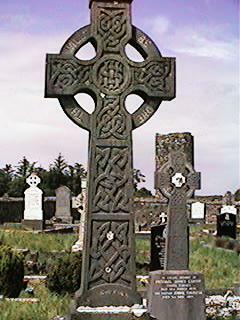 The cemetery, however, is very well maintained, and still being used.